The 2010 Kia Sportage is one of the older kids on the block in this segment, due to be replaced soon, so look for some bargains. 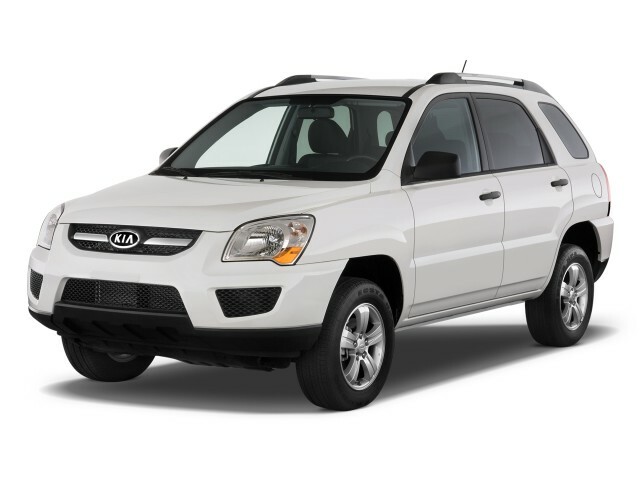 Value—not trend-setting design or class-leading performance—is the reason to keep the 2010 Kia Sportage on your list. 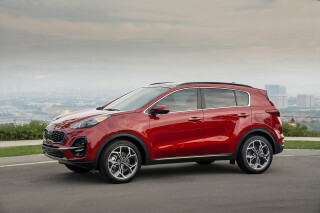 The editors of TheCarConnection.com have pulled together highlights from some of the Web's best review sources to help you get the best review information possible on the 2010 Kia Sportage. They have also driven the Sportage and bring you their expert opinion here in this Bottom Line. Kia’s compact Sportage SUV was first introduced back in 2005 and underwent a mild facelift just last year to improve its fuel economy, styling, and drivability. With that in mind, there are no major changes to the 2010 lineup. For the latest model year, the Sportage comes in base LX or EX trim, along with optional all-wheel drive. The changes incorporated last year included body color-matching front and rear bumpers, a new grille design, new headlights and fog lights, and new alloy wheels. Overall, though, the Sportage keeps the same basic silhouette it's had for many years. Under the hood, customers have a choice of either a fuel-efficient 2.0-liter four-cylinder engine with Continuously Variable Valve Timing (CVVT) technology and a respectable 140 horsepower on tap, or a 2.7-liter V-6 mill with 173 horses. 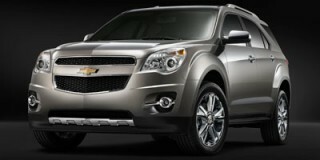 Transmission options include a five-speed manual or a four-speed automatic. 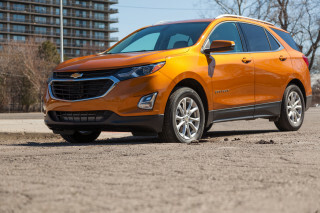 The most fuel-efficient model is the base four-cylinder model with the five-speed manual, which returns an EPA-rated fuel economy of 20 mpg in the city and 25 mpg on the highway. At the other end of the scale, the V-6 automatic model returns 17 mpg in the city and 21 mpg on the highway. Between the two, neither engine will excite, and the extra oomph from the V-6 over the four-cylinder is hardly noticeable. Acceleration is a little bit better with the V-6, but the associated loss in fuel economy is hardly worth it. The Sportage rides on McPherson struts up front, with gas-filled shock absorbers at the rear, stabilizer bars at both ends, and 16-inch wheels and tires. Handling is secure and the ride smooth, but not inspiring. The Sportage offers an interior that's just roomy enough for five adults, with reasonable seating comfort for all—provided those in back aren't wide-shouldered. Interior appointments are quite unremarkable; they aren't as delightful for the price as the new Forte and Soul small cars, but they're not disappointing either. The Sportage rides more like a car than a genuine SUV, but at the same time, its off-road prowess is lacking. The 2010 Kia Sportage does quite nicely in federal government crash tests, although it doesn’t fare as well in the insurance agency tests. The Insurance Institute for Highway Safety (IIHS) awards the compact SUV with “acceptable” ratings for front and side impacts, while the National Highway Traffic Safety Administration (NHTSA) is a little more generous, awarding the Sportage five out of five stars for front and side impact protection. Standard safety items include dual front, side, and curtain airbags; anti-lock brakes; traction and stability control; and tire pressure monitors. Standard features on all LX models include multi-reflector headlamps, roof rails, front and rear towing hooks, and a front-end skid plate. All 2010 Kia Sportage models also come with Sirius Satellite Radio and auxiliary and USB jacks with MP3 playback capabilities as standard. 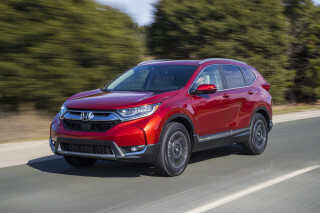 Upgrading to the EX model includes a power sunroof, fog lights, and heated side mirrors, while the Sport Package, available on LX V-6 models, includes fog lights, a leather steering wheel and shift knob, a rear spoiler, a rear cargo cover, and 17-inch alloy wheels. The warranty remains a good argument for the Sportage. It has some of the best coverage in the industry: a five-year/50,000-mile basic warranty, plus a ten-year/100,000-mile powertrain warranty. The styling of the 2010 Kia Sportage is generally well-accepted, though it doesn’t particular stand out. The changes incorporated last year included body color-matching front and rear bumpers, a new grille design, new headlights and fog lights, and new alloy wheels. Overall, though, the 2010 Kia Sportage keeps the same basic silhouette it's had for many years. According to Kelley Blue Book, the Sportage’s "distinctive design is modern, clean and attractive...a curvaceous, almost organic look, with a get-up-and-go attitude." The guys at The Auto Channel report being "pleasantly impressed with the Kia Sportage as far as looks...are concerned." Details that detract from the appearance are black bumpers on some models, and a nose that seems too small for the rest of the vehicle. Cars.com also points out that Kia Sportage "styling echoes the larger Sorento's, and flared wheel arches help establish what Kia calls a 'strong visual presence.'" Last year’s update also saw a refreshed interior; it was nearly all trim, though, with a new center fascia installed, as well as standard fitment of Sirius Satellite Radio and auxiliary and USB jacks with MP3 playback capabilities. ConsumerGuide says the “gauges are clearly marked and easy to see.” Edmunds backs this up, describing the interior as “stylish and functional,” as well as “attractive.” Kelley Blue Book notes that "improved plastics and upholstery throughout the 2010 Kia Sportage lineup...attractive cloth upholstery gives an impression of comfort and durability...adding to the upscale appeal are aluminized accents on both the instrument and door panels." The Auto Channel goes on to praise the 2010 Kia Sportage’s interior, explaining that it "looks and feels a lot classier than you think it would," and that while it "certainly isn't going to dazzle you with dual temperature controls, power seating or a Bose stereo, the center console and dashboard are still modern and sleek in design with basic features." The 2010 Kia Sportage feels more like an economy car on the road, from its acceleration to its handling, even with available all-wheel drive. In the 2010 Sportage, you have a choice of either a fuel-efficient 2.0-liter four-cylinder engine with Continuously Variable Valve Timing (CVVT) technology and a respectable 140 horsepower on tap, or a 2.7-liter V-6 mill with 173 horses. Transmission options include a five-speed manual or a four-speed automatic. Neither engine will excite, and the extra oomph from the V-6 over the four-cylinder is hardly noticeable. Acceleration is a little bit better with the V-6, but the associated loss in fuel economy is hardly worth it. Kelley Blue Book is "not overly impressed by the responsiveness of the 2010 Kia Sportage V-6; it will meet consumer expectations, but we don't believe it will exceed them." They advise that the "four-cylinder should be reserved for light duty only—no full loads, light towing and little exposure to work at high altitudes." According to ConsumerGuide, "2010 Kia Sportage four-cylinder models are fine for light-duty commuting but lack enough power for confident highway merging and passing." They "recommend a V-6 model, though they're no fireballs." The most fuel-efficient model is the base four-cylinder model with the five-speed manual, which returns an EPA-rated fuel economy of 20 mpg in the city and 25 mpg on the highway. At the other end of the scale, the V-6 automatic model returns 17 mpg in the city and 21 mpg on the highway. ConsumerGuide says "the automatic transmission is responsive enough with either engine, though not even the V-6 has abundant passing punch." All-wheel drive is an option. 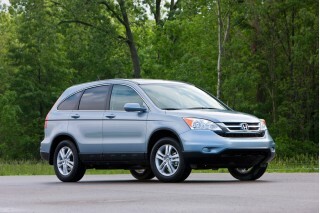 Cars.com notes that "a five-speed manual gearbox is standard in the four-cylinder Kia Sportage LX, and a four-speed automatic is available," while "all V-6 models come with the automatic.” When describing the automatic, Cars.com reports “responses are prompt, but downshifting can be sluggish when passing." The Sportage rides on McPherson struts up front, with gas-filled shock absorbers at the rear, stabilizer bars at both ends, and 16-inch wheels and tires. Handling is secure and the ride smooth, but not inspiring. Off-road ability draws some mixed comments, however. 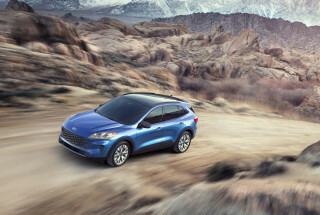 While Kelley Blue Book notes a "smooth ride, improved handling," they also point out that "the trade-off is an inability to tackle the harshest sorts of off-road terrain." Jalopnik, on the other hand, describes it as "off-road-worthy fish-vertebrae underpinnings...tougher than most." "On rougher pavement, the ride is well-cushioned...suspension reactions are seldom excessive, and recovery is prompt," reports Cars.com. The 2010 Kia Sportage is roomy and comfortable despite its smaller stature. The Sportage offers an interior that's just roomy enough for five adults, with reasonable seating comfort for all—provided those in back aren't wide-shouldered. Though the Sportage is one of the smaller SUVs in its class, ConsumerGuide notes that "legroom is adequate, and headroom is generous...both the leather and the cloth seats are comfortable, with good side-bolster support.” Cars.com also points out that "the Kia Sportage seats up to five." Kelley Blue Book reports that "Kia Sportage seating position is appropriately upright and, while the standard sunroof encroaches slightly on rear-seat headroom, most adults will find either front or rear seating to be generous," adding that "the fifth passenger's area, in the center of the rear seat, is somewhat marginal." It’s not all praise for the 2010 Kia Sportage, however. ConsumerGuide finds that "groceries fit fine behind the rear seats, but there's little room for large objects." Thankfully, the rear seats in the Sportage fold easily in one motion to form a flat load floor. Cars.com explains that "with the 'Drop and Fold' rear seating system, the seat cushion lowers and the backrest folds flat, yielding 66.6 cubic feet of cargo space." Interior appointments are unremarkable; they're not as delightful for the price as the new Forte and Soul small cars, but they don't downright disappoint either. Kelley Blue Book likes the "quality plastics, with an almost quantum improvement in both appearance and texture." ConsumerGuide finds "dashboard control dials have rubber grips, literally a nice touch," going on to note "for interior materials, [Kia] Sportage is a cut above Honda CR-V and is slightly upscale of Tucson." Materials are above average for the price and class. The Sportage rides more like a car than a genuine SUV, but at the same time its off-road prowess is lacking. 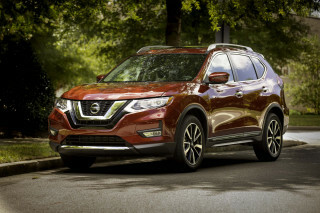 According to ConsumerGuide, it ranks "among the better-riding compact SUVs." ConsumerGuide also says the "4-cylinder engine is coarse and buzzy...the V-6 is quiet at cruise, but it strains loudly at higher rpm." Cars.com reports "other than a little tire noise on some surfaces, the Sportage is quiet, though the engine gets snarly at high rpm." The 2010 Kia Sportage doesn't particular stand out for its crashworthiness, but it does come packed with a number of safety features as standard. The 2010 Kia Sportage does quite nicely in federal government crash tests, although it doesn’t fare as well in the insurance agency tests. The Insurance Institute for Highway Safety (IIHS) awards the compact SUV with “acceptable” ratings for front and side impacts, while the National Highway Traffic Safety Administration (NHTSA) is a little more generous, awarding the Sportage five out of five stars for front and side impact protection. In terms of rollover resistance, the all-wheel-drive version of the 2010 Kia Sportage scores a respectable four stars, but the two-wheel-drive version earns only three stars. Standard safety items include dual front, side, and curtain airbags; anti-lock brakes; traction and stability control; and tire pressure monitors. Edmunds points out “a total of six standard airbags, including front- and side-impact airbags for driver and passenger, and side curtain airbags for front- and rear-seat occupants.” The story doesn’t end there, as “all-disc antilock brakes, traction control and an electronic stability system are standard" as well, reports Cars.com. There's a bit of a rearward visibility issue, according to some reviews. 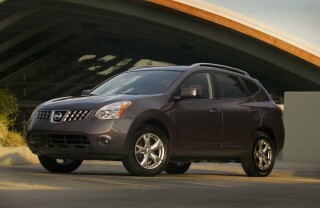 ConsumerGuide reports "rear-roof styling impedes vision to right-rear and dead astern" in the Sportage. The 2010 Kia Sportage offers great value in terms of equipment, and even the base model is packed with a ton of standard items. The 2010 Sportage comes in base LX or EX trim, along with optional all-wheel drive, and even in the entry-level model, the compact SUV comes well-equipped. There are no changes since last year’s update, which saw Sirius Satellite Radio and auxiliary and USB jacks with MP3 playback capabilities made standard. Standard features on all LX models include multi-reflector headlamps, roof rails, front and rear towing hooks, and a front-end skid plate. Upgrading to the EX model includes a power sunroof, fog lights, and heated side mirrors, while the Sport Package, available on LX V-6 models, comes with fog lights, a leather steering wheel and shift knob, a rear spoiler, rear cargo cover, and 17-inch alloy wheels. Cars.com points out that V-6 models get standard cruise control. The Auto Channel says, "Sunroof, power windows, heated outside mirrors, trip computer, roof rack and keyless entry do not come as an extra cost or better known as an upgrade package, which is nice."